Are you in a search for the best Mac data recovery software? If so, then you must know that variety of data recovery software is available in market. However, not every app is worth your time and investment. So, it’s important to choose the one that seems suitable for your data recovery needs. Take a look at some of the best data recovery solutions for the Mac. Being one of the most powerful and safe Mac data recovery software, it can salvage videos, photos, music files, and documents in few clicks. EaseUS Mac Data Recovery freeware employs two recovery modes that can restore deleted, lost and formatted files from Mac’s hard drive as well as from external storage devices like SSD, USB storage, memory cards. The software runs on Mac machines that run OS 10.6 and above up to Mac OS 10.14 (Mojave). The wizard is easy to use, offers an intuitive interface and three-step recovery: Launch, Scan, and Recovery. Features like built-in bootable media, ability to import and export the file scanning result, filter and preview files before recovery makes EaseUS software a good option. You can either download a free trial version to test drive the software and recover only 2GB of data or purchase it from EaseUS at $89.95 for unlimited data restoration. Using this tool, you can recover only 1MB of data without any financial investment. However, users can avail its 30 days money-back guarantee to test this application before paying $79. MiniTool Mac data recovery software is easy to operate, and can be used for both Mac OS and Windows. The app comes with important recovery options including undelete recovery, damaged partition recovery, lost partition recovery and digital media recovery. With the five device limit, Data Rescue 5 works even when your hard drive fails to boot. The application is designed to pull out all possible data from drives, irrespective of their size and how long it takes. It is capable to fetch data from virtual machines, reformatted drives, and Boot Camp partition. This tool can be purchased from Prosoft Engineering at $99. Prosoft also offer a free trial version which user can download to scan and preview, but to actually get all data back user will have to purchase the software. It is one of the most comprehensive Mac data recovery software out there. Its data salvage capabilities are enormous including Time Machine backups, corrupt hard drive recovery, BootCamp Partition recovery, and retrieval from inaccessible drives. Moreover, their advanced functions like deep scanning and disk imaging ensures Mac users to get up to 100% of data back. So, if you decide to get your hands on this professional software, buy it from Stellar Info at $99. Not only this recovery tool assure data recovery from Mac, but also restore deleted files from storage device connected to your Mac, together with iOS and Android devices. Good thing about this package is that its free version comes with data protection features like Recovery Vault and Guaranteed Recovery. In addition to it, tool allows Mac users a preview of recoverable data to ensure that they don’t waste time restoring corrupt files. However, in order to get advanced features like deep scanning technology, you might need a pro version which costs up to $89 from CleverFiles. 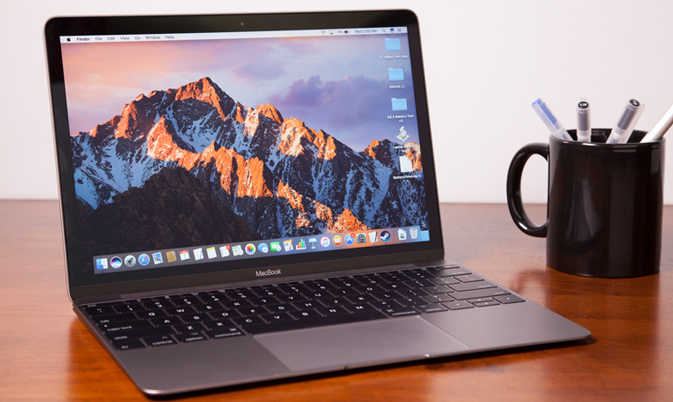 While many Mac data recovery solutions bring advanced features, it will be better to choose software that can assure data salvage from your Mac device and storage media. Assess which will work best for you and gain your lost files back. previous What Are The Key Factors To Consider Before Making An App?